The wall that LIBBE Base (table) is placed parallel to, must have a minimum of 8′ (2.44m) with no doors or obstructions. LIBBE must be installed with plumbing on left side of body, near head. Right side installation will not work. 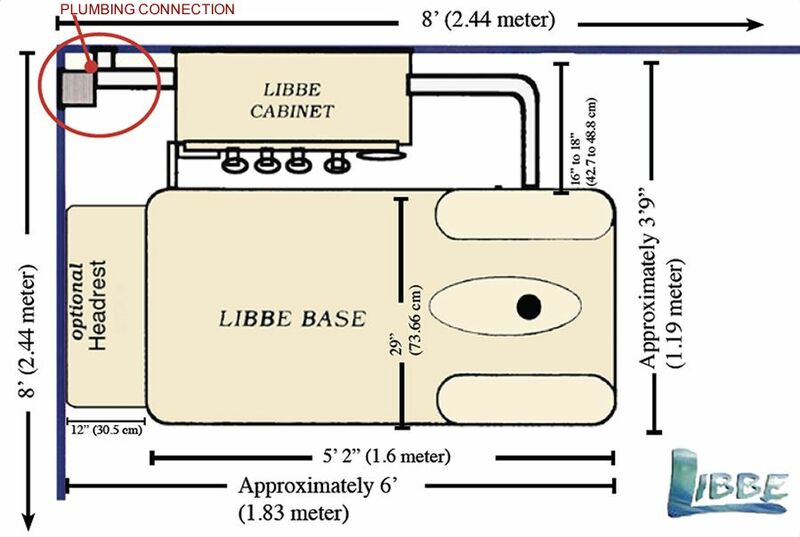 Important that the center of sewer pipe is no higher than 6.5″ (17cm) above the floor and no more than 8.75″ (22.2cm) from the corner of the wallE series – 2015 to Current LIBBE Systems Room Layout & Measurement Guide. PLUMBERS – INSTALLERS Have Questions? Contact our Technical People at 210-308-8888 or email us!